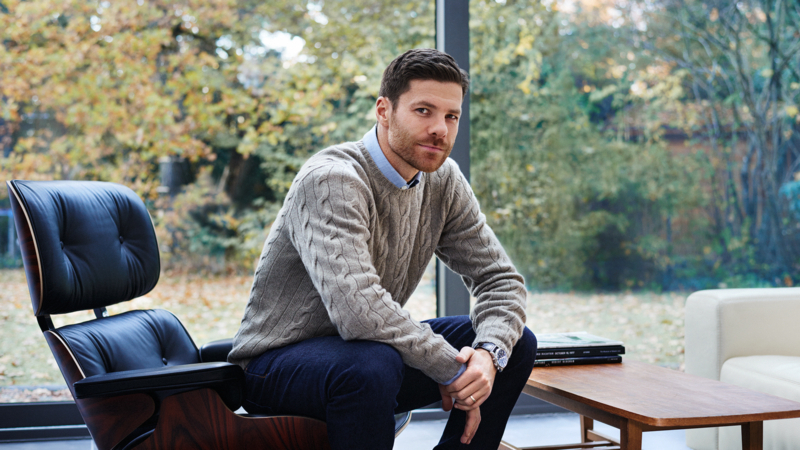 Meet Mr Xabi Alonso, one of the world’s most decorated footballers, a MR PORTER Style Council member – and an enthusiastic collector of fine watches. To mark the arrival of IWC Schaffhausen on MR PORTER, we travelled to Munich to spend a day off with Mr Alonso. We accompany him as he takes a drive in a classic Porsche 356, walks his British bulldog in the woods, makes a snack for his kids when they return from school, and gets ready to go out for dinner with his wife. In the film he talks through some of his watch collection and explains how each piece commemorates a landmark life event – from winning the World Cup, European Championship (twice) and Champions League (twice) to getting married (once).